A few days ago, I received this beautiful beauty advent calendar from a PR firm. 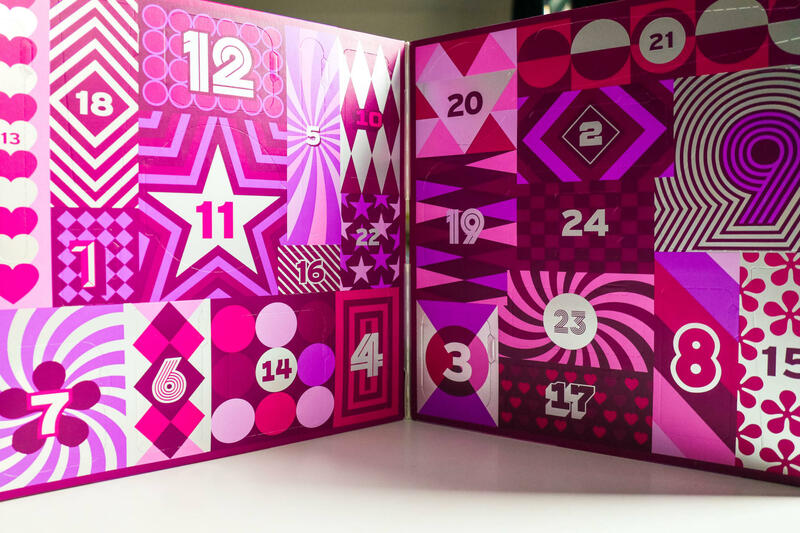 It’s an advent calendar with products from The Bodyshop. Super nice to count off with this playful way to Christmas. By playfully support the PEACE PLAY project during this Christmas, you can help Syrian children to play as well. 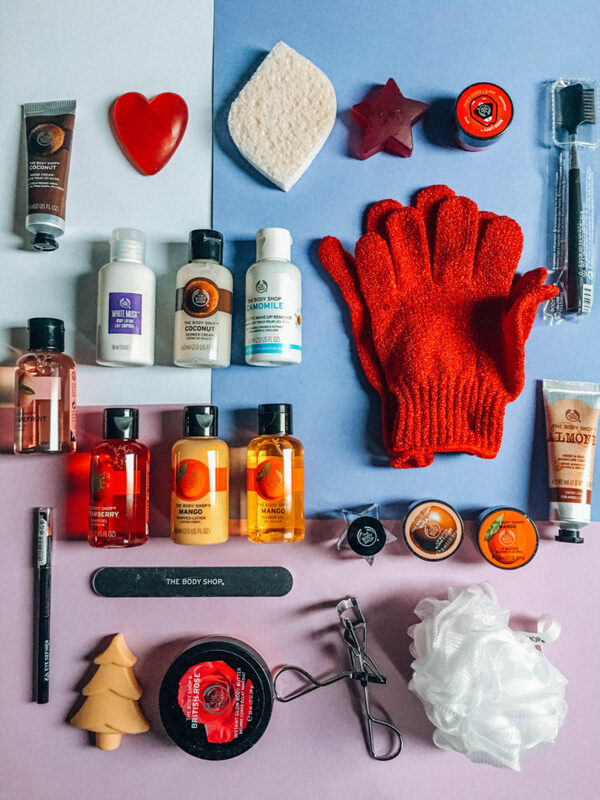 Each sold item from The Body Shop’s seasonal gift collection helps refugee children that were hit by war, to play in a safe place. The Body Shop has cooperated with International Alert to allow refugee children be a child again. Their mission is to create a more peaceful world. A world where everyone can live a happy and safe life. One of their attention points is to let Syrian refugee children laugh again. This project provides children with a safe place to play and cure. How beautiful is this gesture! Give yourself a beautiful Christmas and at the same time helping the world’s most vulnerable children to smile again. There are two types of advent calendars, one with 24 days of beauty surprises. This contains a large number of mini must haves, from British Rose Body Butter to Coconut Hand Cream. The other is a 25-day game-changing adventure advent calendar. When opening the daily surprise, you also get a feel-good assignment that you have to accomplish; like smiling to the first person. Once you have opened the box 25, you transform the calendar into a trivia quiz that you can play on the 1st Christmas day. Nice to have such a gift or to give someone this gift 😉 They are available at The Body Shop for 55, – and 85, – Euro. Pleased to hear that The Body Shop donates some part of revenue to a good cause.